This summer, Live University will host a two day Procurement Forum in New York, NY! From June 27th- 28th, attendees are invited to a variety of presentations from procurement VPs and Directors of large organizations that are enthusiastic to offer their expertise. In addition to offering advice for common challenges in the industry, sessions during the event will discuss hot topics around innovation in procurement that provide best practices and valuable take-aways from real world examples. While the audience can anticipate multiple learning opportunities, there will also be designated time during the conference for one on one conversations through networking that encourages the development of professional relationships for attendees at every stage of their career. Recognized professionals and high-level executives use their time on stage to emphasis the importance of specific areas in the procurement profession, including market intelligence, SRM, and category strategies. 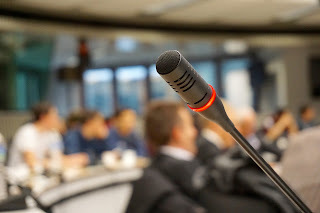 Along with independent presenters, the schedule includes panels with multiple procurement experts providing their individual opinions on a specific topic in an open discussion. For more controversial issues, there will be debates between professionals who have different opinions on a hot topic. Finally the two day event will conclude with a roundtable session that features three different tables discussing three different hot topics including, KPI structures, supplier relationships, and category strategy. With a wide variety of sessions, attendees can look forward to engaging presentations from start to finish of Live University's Procurement Forum. To learn more and register for the event, visit their website http://us.liveuniversity.com/procurement-forum/.